For the past two weeks we’ve had a small LDS service each Sunday here at the 21st CSH. Our chaplain is not LDS but she’s been very helpful in putting out meeting times, providing space, complementary LDS edition scriptures, etc. 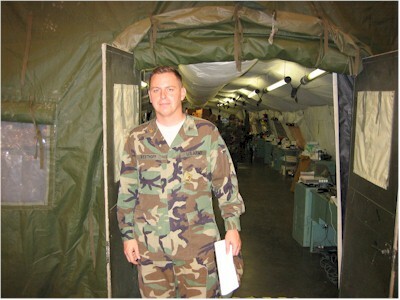 Our first meeting was run by a national guardsman who had been set apart as a servicemen’s group leader. 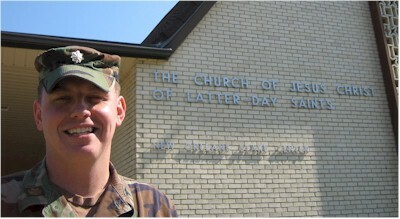 The following week, an LDS chaplain from the Utah Guard stopped by and led us. Both meetings were spirit filled and were attended by about a dozen or so soldiers and a handful of civilian volunteers and contractors. This week neither were available and while we had priesthood holders we couldn’t hold an officially sanctioned meeting as none of us been set apart as a group leader—a problem we will all rectify before we deploy to Iraq. It’s interesting how it works, you can read more about it here. 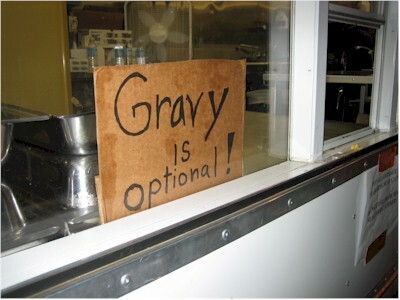 Mandatory gravy is a thing of the past here. I like to think that my fearless patient advocacy played a small role in this. At least let us hope that is true for this poor mutt. We came across him on one of our runs. After seeing the photo it occurs to me that I probably should not be smiling. My apologies Aunt Betsy. Continue reading All Dogs Go to Heaven. I worked my first real shift last night in the ED. It wasn't too busy, no trauma. The highlights were draining a large abcess and a soldier who (seriously) wanted me to write him a profile stating he should not eat gravy. He had apparently gotten into a heated discussion with the contractors who serve our morning chow and had been escorted out of the area by MPs. For some reason the contractors have adopted a no gravy, no food policy. He's not allergic and has no dietary restrictions, he just doesn't like it. I told him to go for the cold cereal option on mornings that they serve gravy. He insisted that that wouldn't work because he eats "five to six times" what a normal person eats and he could never get full that way. I didn't write a profile for him but I did tell him I'd raise the issue with command, and would he mind talking to our psychiatrist for a bit. He thought that would be swell as there are several other things that have been bugging him. You think? 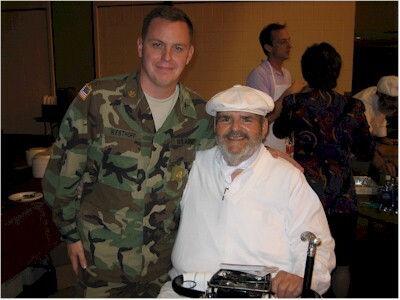 The famous Chef Paul Prudhomme stopped by and fed us all an authentic Cajun meal last night, complete with Zydeco music. It was good, I gear-un-tee! (That was for my Dad). I also got his autograph. A few more pictures from this adventure follow. More later. Continue reading I's Goin' Be Good!. This page is a archive of recent entries written by John in October 2005. 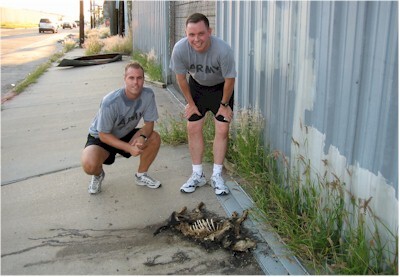 John: June 2005 is the previous archive. John: February 2006 is the next archive.